The Russian army entered the three strongest armies in the world; the Ministry of defence has published unique footage of fighting work of a promising aviation complex of the fifth generation su-57 in Syria; the first prototype of the latest military-transport helicopters Mi-38T rose into the air; to the end of the year the Pacific fleet will receive the latest three rescue boats; in 2018, strategic missile forces, the rate of supply of engineering equipment and property increased two times; the crews mixed aviation regiment of the southern military district began the development of new su-27SM3; new tanks with increased protection T-72Б3М go to the military units of the Land forces; army aviation YUVO added element of combat attack helicopters Ka-52 "alligator"; the aircraft factory "Irkut" will send the final batch of su-30cm for the acquisition of the Kursk airbase ZVO; in the Crimea completed construction of the first military airfield. About these and other events, monitoring the media for week 19. 25. 11. 2018. The Russian army in 2018 was included in the top three in the world according to Global Firepower, writes Business Insider. In the first place is the American army, the second Russian, and the third place was occupied by the Chinese army. The authors of the rating of military strength Global Firepower in 2018 has taken into account more than 55 factors. They have also expanded the list last year and added Ireland, Montenegro and Liberia. When ranking armies in the world have evaluated the variety of weapons each country, particular attention was paid to the availability of human resources, said the material. Nuclear power gets a bonus, but their resources were not considered in the rankings, says the publication. So, the Russian army is in second place, its population is estimated at 3 586 128 people. Defense budget is $47 billion the Amount of funds the Navy — 352, tanks — more than 20 thousand fighter — 818, the total number of aircrafts — 3.9 thousand. The army of the United States, which topped the rankings, has 2 083 100 people. The number of American military aircraft is 13.3 thousand, tanks — 5.8 thousand, fighter — 1,9 thousand and 415 ships, 20 aircraft carriers. The US defence budget is $647 billion. 20 Nov. Pentagon spokesman Eric Pachon said RIA Novosti that the deployment to Syria of Russian s-300 does not affect U.S. operations in the region. However, in his opinion, "supply of any weapons to Syria at this stage only contributes to the escalation of the conflict." 20 Nov. USA warn of a significant risk of sanctions against all who are helping supply oil to Syria, said the report, which was released on Tuesday, the Ministry of Finance, the state Department and the U.S. coast guard. 21 Nov. The Syrian authorities are concerned about the postponement of the USA process destruction of the American Arsenal of chemical weapons, said Deputy foreign Minister Faisal Miqdad cap. 21 Nov. The coalition headed by the USA attacked the settlement, Hadjin in the Syrian province of Deir ez - Zor with the use of munitions with white phosphorus, said the Agency SANA. According to him, in impact there are dead and wounded among the civilian population. 23 Nov. The formation of the constitutional Commission completes the SAR, said Russian foreign Minister Sergei Lavrov, speaking at the annual conference "the Mediterranean: Roman dialogue." As pointed out by the Minister, the situation in Syria can be resolved only on the basis of international law. He stressed that UN security Council resolution 2254 is a very solid basis for this. In fact, as noted by Lavrov, the resolution requires that the Syrians themselves have done "all on the basis of mutual consensus between the government and the opposition." Foreign Minister of Turkey Mevlut Cavusoglu, after the meeting with U.S. Secretary of state Michael Pompeo, said that the acquisition of its Russian anti-aircraft missile systems s-400 "Triumph" is "a done deal" that cannot be cancelled, reports the Agency Reuters. Cavusoglu added that he is going to continue to purchase weapons from the allies. "But I need more <...> and I would prefer to buy [weapons] from its allies," - said the Minister. Turkey ready to purchase the American Patriot system in case of receiving good proposals from the American side, said the official representative of Turkey's President Tayyip Erdogan, Ibrahim Kalin at the conference "Russian-Turkish relations: shaping the image of the future." "Next year will be involved in the delivery of the first battery of s-400, then we may start joint production. But Turkey never based on a single sentence, we need to evaluate from this point of view. If we reach agreements with the USA Patriot systems will receive a good offer and agree on joint production, we will take this proposal," he said. CNBC, citing sources, reported that Russian anti-aircraft missile systems s-400 cheaper than similar American systems, but surpass them. It is noted that the Russian system cost about $ 500 million. Battery Patriot Pac-2 costs about a billion dollars, and THAAD is worth about $ 3 billion. The source told the channel that the s-400 is not a perfect weapon, but it eclipses the pride of the us military industry in this area — THAAD. It is noted that for the 13 countries interested in buying Russian systems. However, according to TV channel, the s-400 win in cost is largely due to the fact that it is delivered without any serious technical support. The US plans to increase military presence in the Arctic. This is stated in the official report of the accounting chamber of the United States, reports "Says Moscow". It is noted that since 1981, the area of sea ice in the Arctic has decreased significantly, and these changes could contribute to enhancing commercial activities in the region. All this is forcing the United States to increase the presence of its armed forces and internal security forces, says the report of the accounting chamber of the United States. Earlier it was reported that in October for the first time in 27 years US Navy aircraft carrier entered the Arctic. The Iranian head of the aerospace forces said that Iran has missiles that can hit military bases of the United States, and American aircraft carriers in the Persian Gulf. About it reports Reuters referring to Iranian news Agency Tasnim. The military said that the army of Iran will use weapons if they provoke US. Earlier, Iran announced the beginning of production of its own fighter jets. "Our missiles "land-sea" have a radius of 700 km... the US aircraft carriers are our goals", — said the head of the aerospace forces of Iran. He did not specify what actions the U.S. side could trigger a military conflict in the region. The project is promising high-speed combat helicopter for the Russian defense Ministry will bring to life the Mil design Bureau. This was announced by the CEO of the holding "Helicopters of Russia" Andrey Boginsky. 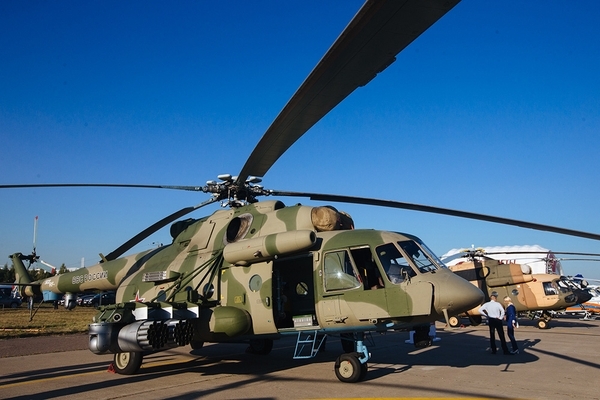 According to him, in the course of execution of the existing contract specialists of the Mil and Kamov presented the order of ten concepts promising machine. "The customer, having considered all of the proposed technical options, in terms of readiness, technological advances, possibilities of cooperation, chose a solution which involves the achievement of speed goals on the basis of "the Milevsky" machine" — quoted by TASS Bogunskogo. Experts, RT writes that designers have to solve the problem of creating brand new materials and designs combat vehicles, which will operate at high loads. It is expected that the cruising speed of the advanced helicopter will exceed 400 km/h and the maximum will reach 500 km/h, despite the fact that the speed ceiling of existing machines — around 350 km/h. Background: the contract for the formation of the concept of high-speed combat helicopter was signed on the sidelines of the International military-technical forum "Army" in August of 2017. In this research work in this direction was carried out by the specialists of the plant named Mile, and the design Bureau "Kamov". In particular, they used the results obtained by using a flying laboratory advanced high-speed helicopter with a new main rotor. Russian cruise missile with global range, with compact heavy-duty nuclear power plant "Burevestnik" has received the NATO reporting name SSC-X-9 Skyfall ("Nebopad"), announced on Twitter journalist at The Diplomat, Ankit Panda. In August the American television channel CNBC, citing sources familiar with the report of U.S. intelligence, said about the upcoming Russia mission to extract from the bottom of the Barents sea "Petrel", drowned in November of 2017 during unsuccessful trials. Possible fighting position "Petrel" was built from 2014 to 2016 at the Kapustin Yar in the Astrakhan region. In July, the defense Ministry showed the start and flight of the Thunderbird. Background: This weapon was unveiled by the President of Russia Vladimir Putin in March 2018. The head of state noted that "a low flying stealth cruise missile carrying a nuclear warhead with practically unlimited range, unpredictable flight path and can overcome the boundaries of interception and is invulnerable to all existing and future systems such as missile defense, and air defense". Director General of the Central Aerohydrodynamic Institute named after N. E. Zhukovsky (TSAGI) Cyril Sprinkled in an interview with TASS spoke about technology that can increase the speed of Russian military helicopters up to 400 km/h. It is noted that the method developed by TSAGI in cooperation with the Moscow helicopter plant named after M. L. Mil. According to Showered, the main principle was the installation of rotor blades of the latest design. Before the end of this year to take part in rescue forces of the Pacific fleet (TOF) three of the latest diving boat modern designs. JSC "Nizhny Novgorod Factory Ship" completed the construction of two boats comprehensive rescue ensure the project 23040, who will serve in the far East. New units have already passed the factory and running tests in one of the specialized courts follow in Vladivostok. Upon arrival they will perform a series of control outputs, and then replenish the emergency detachment of the Pacific fleet. In Petropavlovsk-Kamchatsky also has completed factory testing of a multifunctional modular boats "SMK-2187" project 23370М for the rescue of the detachment of Troops and forces in North-Eastern Russia. It is expected that in December the vessel will proceed to implement the tasks. Reference: Boat of these projects are designed to perform search, rescue and underwater technical works in the places of basing of the Navy in open raids in harbors and coastal areas. Gunners of the Central military district in the past year were armed with radar intelligence systems Aistenok and complexes with unmanned aerial drones "Orlan-10", said the acting head of the missile troops and artillery of the district, Colonel Sergei Evanta. He said that the "Aistenok" was distributed in the Chelyabinsk region and Altai Krai. Background: With the start of the 2018 school year in the state artillery brigades were introduced two divisions of large power, namely -- division 240-mm self-propelled mortar 2S4 "Tulip" in the Orenburg region and division 203-mm self-propelled guns 2С7М "Malka" in the Kemerovo region. Also during 2018 modernized one artillery brigade with modern weapons, namely, replaced by towed howitzer 2A65 "Msta-B" in 2S19M2 modernized "Msta-s". In 2018 the volume of supply of engineering equipment and engineering assets in units of the strategic Missile forces have doubled compared to last year. In 2018, strategic missile forces delivered about 50 units of engineering machinery, more than 150 tonnes of engineering equipment and more than 100 tons of ammunition engineering, which is much higher than the supply volumes of previous years. Among the main tasks assigned to the engineering division of the strategic missile forces, engineering reconnaissance of the terrain and objects, fortification equipment of objects, positions and areas occupied by units and formations, training and maintenance of combat patrol routes, field positions, routes and ways to maneuver units, hides and imitation of positions, areas and important sites. Background: currently the service engineering units of the strategic missile forces are such basic equipment as engineering machinery obstacle clearing, universal road machines, excavators, mobile cranes, various electrical tools. The crews mixed aviation regiment of the army, air force and air defense of the southern military district (JUVO), stationed in the Krasnodar region started the development of upgraded fighters su-27SM3. After carrying out a complex of measures on maintenance and verification of new aircraft regiment pilots started to perform the first test flights. During the mission the crew will test flight characteristics of fighters, the performance of the engines, all systems and mechanisms at different modes, speeds and altitudes. It is expected that by the end of this year another batch of aircraft of this type will join the fleet of aircraft of the regiment. Background: Previously, the regiment received a batch of deeply modernized multi-role fighters su-27SM3 of "4++" generation with more powerful engines, enhanced agility and range. New tanks with increased protection T-72Б3М do in a military unit of Ground troops. T-72Б3М was demonstrated at the International military-technical forum "Army-2018". The tank is equipped with a new diesel engine capacity of 1130 HP, more tower defense, side projections and bottom. The machine cost vsesoiuznyi modern system of fire control, digital communications, and a number of other new systems. T-72БЗМ got a track with high grip properties, as well as the driven wheels with improved cleanability. This provides resistance to skidding in the turn and increase performance. Background: since the beginning of 2018, the army has received more than 2,200 modern weapons, military and special equipment, in particular, anti-aircraft missile systems (SAMS) "Buk-MH", reactive system of volley fire "Tornado-G", infantry fighting vehicles BMP-3, BTR-82A etc. In connection the engineering troops of the Armed forces of the Russian Federation received modern engineering machinery obstacle clearing IMR-3M. In frame of realization of the contract, which was signed in 2016, the factory gave the Ministry of defence for 13 cars. IMR-3M created on the basis of the T-90A is equipped with a track and the knife trawl KMT-R3 with electromagnetic attachment EMT for trawling protivodnischevyh mines with pin and proximity magnetic fuzes. Also a dozer blade and a universal manipulator to the telescopic full-circle boom. The machine is able to lift loads weighing up to 2 tons. Weapons IMR-3M presented a remote-controlled machine-gun of 12.7 mm calibre and can fire at ground, low-speed air targets, as well as openly lying on the ground explosive objects. The machine has a multi-fuel diesel engine capacity of 840 HP, capable of developing maximum speed on the highway to 60 km/h as part of the tank colon IMR-3M is able to perform long marches of up to 500 km on a par with other military equipment. Background: the objectives of IMR-3M enters the openings of the passageways on moderate terrain, in stone and forest debris and in the virgin snow. The machine is able to remove minefields or to perform work in the area of radioactive contamination. The sample is equipped with devices of radiation, chemical reconnaissance and radiation control and has a high level of protection from radiation and toxic substances. IMR-3M is able to force the bottom of the water obstacles to a depth of 5 m.
In accordance with the plan of re-equipment of troops of the southern military district (YUVO) army aviation has added six new combat helicopters Ka-52 "alligator". The machine entered service in Union and military unit, stationed in the Krasnodar territory and Rostov region. From the factory to the airfield, the helicopters were flown military transport aircraft in a disassembled state. At military airfields will soon be made final Assembly of rotary-wing technology. With the beginning of new academic year the personnel of the squadrons will commence flight missions on Ka-52. Reference: Military attack helicopter Ka-52 "alligator" is a modernized version of the Ka-50 "Black shark". According to experts, it has better aerodynamic characteristics and less visible to radar. To increase its speed and maneuvering capabilities. Aboard the cars have more sophisticated electronic equipment. The office is designed for two pilots, which increases the efficiency of maneuvering and combat use of "Alligator". Ka-52 is designed for fire destruction of armored vehicles, manpower and helicopters of the enemy. Aviation Association of the Western military district (ZVO) will get a couple of fighters of generation "4 plus" for the formation of new squadrons in the Kursk region from the Irkutsk aviation plant of the Irkut Corporation. The next batch of aircraft has already entered the factory in Irkutsk and prepared to travel the length of more than 5 thousand kilometers. Steam, manufactured at the Irkutsk plant, will enter the combat strength of the formed squadron, which will replace the plan for the modernization MiG-29 SMT. In late November 2018, will complete the entire new fleet of combat aircraft, armed fighter. Reference: the highly maneuverable su-30CM is designed to gain air superiority, blocking enemy airfields at great depths, destruction of air, ground and sea targets, including night time and adverse weather conditions. The aircraft is able to use modern and promising precision weapons class "air-air" and "air-surface". Combat vehicle equipped with engines with thrust vectoring and canards. The results of the equipment of troops of the southern military district (YUVO) in the current academic year, summed up the commander of the YUVO Colonel-General Alexander Dvornikov. According to him, the share of new models of military equipment in 2018 in the southern military district, increased to 65 percent. In 2018, the troops received more than 600 units of modern weapons, the latest models of military and special equipment for different branches of the armed forces, including around 150 units of armored vehicles, over 100 vehicles and over 150 units of missile and artillery weapons. The naval component of the County joined the three ship and two auxiliary vessels. The Ministry of defence has published unique footage of fighting work of a promising aviation complex of the fifth generation su-57 in the Syrian Arab Republic. The flights were carried out to confirm the stated features of the newest aircraft in a real combat situation. In the course of the flights were in practice checked flight performance of the aircraft, intelligent information-control complex, operation of all onboard systems, including complex weapons, in conditions of high temperatures, complex underlying surface and other factors. The crews of the su-57 was completed more than 10 flights in Syria. Reference: su-57 – the promising Russian aviation complex of the fifth generation, designed to destroy all types of air, ground and surface targets. The combination of high maneuverability and super-maneuverability with the ability to perform supersonic flight, as well as modern avionics and low visibility provide su-57 with a high level of efficiency and superiority over the enemy. Test pilots in the framework of the pre-flight test done on the first sample of a military transport helicopter Mi-38T, manufactured by the Kazan helicopter plant for the Ministry of defence of the Russian Federation. Mi-38T created on the basis of a certified civilian Mi-38 with the retrofitting for the solution of the transport-landing task. It can be adapted in a cleaning option and extra fuel tanks to increase range. In addition, Mi-38T has a high degree of automation, its navigation system allows you to automatically run the flight on a given route and landing, the stabilization of the spatial position in any flight mode, and automatic hovering. Mi-38T is equipped with new high-efficiency engines TV7-117V domestic production, integrated digital flight navigation system with display of data on five LCD displays, explosion-proof engineered fuel system. Also the helicopter has additional supports on the landing gear for landing on soft ground and snow. The cabin walls are easily removable seats, removable sanitary equipment and roller table equipment for the transport of goods. Applications the Mi-38 — transportation of personnel and various cargoes inside the cabin and on external sling. Helicopters can be used, including, for rescue operations and also to carry various weapons. Mi-38T can be used in a wide range of climatic conditions including Maritime, tropical and cold climate. On the basis of the transport version of the Mi-38T planned production of specialized helicopters, including the "Arctic" variant. Reference: Systems and equipment of the helicopter Mi-38T will be checked for compliance with the requirements of the technical specifications of the Ministry of defense of Russia in the ensuing special joint flight tests. It is expected that their results will be planned further purchases of helicopters Mi-38T for the needs of the aerospace forces in the framework of the State armament programme 2018-2027 years. In the town of Lomonosov, Leningrad region to undergo sea trials delivered a large hydrographic boat of project 23040Г "George Winter", built for the needs of the Baltic fleet. Large hydrographic boat (BMC) built for the needs of the Baltic fleet at JSC "Nizhny Novgorod Factory Ship". Currently BGK "George Winter" started to undergo sea trials at the marine ranges of the BF, then it will be accepted into the Baltic fleet and begin to perform tasks in accordance with the purpose, composed of ships of the hydrographic service of the fleet in the Leningrad naval base. This is the second boat that the Baltic fleet will receive after all the stages of testing. The boat of a similar project "Alexander Evlanov", is currently undergoing sea trials in the area of responsibility of the Baltic naval base. Reference: Hydrographic boat of project 23040Г designed in accordance with the technical requirements of the Main command of the Navy and is intended for shooting of the bottom topography and survey of navigational dangers at depths of up to 400 meters, as well as shooting elevation single-beam echo sounder for depths to 2000 meters. In addition, the boat will be able to serve as floating signs, to deliver personnel and maintenance groups to carry out search and rescue operations, piloting submarines and large ships. On November 19 Poligon Babina located in the territory of Uttar Pradesh (India), hosted the official opening ceremony of the joint Russian-Indian exercise "Indra-2018". The doctrine that will last for 10 days, involved 250 soldiers of a motorized infantry connection of the combined-arms army of the Eastern military district troops and 250 units of the 31st armored division of the Armed forces of India. The Russian military can perform tasks on armored vehicles, which the company provided them with the receiving party. Russia signed contracts with India for the construction of four frigates of project 11356 for the Indian naval forces, the press service of the Federal service for military-technical cooperation (FSMTC) of the Russian Federation. Deputy defense Minister Colonel-General Alexander Fomin and Minister of defence of Uruguay, Jorge Menendez signed a letter of intent, which provides for the establishment of a working group on military-technical cooperation and signing of several agreements on training the Uruguayan military. According to Alexander Fomin, the joint statement was signed in the framework of the current intergovernmental agreement on cooperation in the field of defense. According to him, the parties declared their intention to "establish a working group on military-technical cooperation to coordinate the cooperation in the field of deliveries of weapons and military equipment in accordance with the current legislation of Russia and Uruguay". Reference: Alexander Fomin arrived in Montevideo, at the invitation of Jorge Menendez as a result of agreements reached in April this year at the VII Moscow conference on international security. During the visit, he visited a number of military units of various species and genera of the armed forces of Uruguay, including the national school of peacekeeping operations. In the Crimea completed construction of the first military airfield. The construction of a strategic object was executed by order of the Supreme commander of the armed forces of Russia, Russian President Vladimir Putin. The facility was commissioned ahead of schedule, a month earlier than the planned term of construction. The new runway will allow to accept all types of aircraft, both military and civilian purposes, including heavy transport aircraft. In the airfield built 5 taxiways and 7 places for Parking of aircraft grade Il-96 and A319. The airfield is located 400 metres from the Black sea coast. Background: In the course of construction were developed and implemented complex logistical supply chain of building materials and products. Only for the construction of the runway was used by more than 900 thousand tons of rubble of various fractions, more than 100 thousand tons of sand and more than 50 thousand tons of cement. Construction materials were delivered from the Rostov region, Krasnodar and Stavropol regions. The new commander of the Russian military base in Tajikistan Colonel Sergey Goryachev presented to the personnel. Colonel Sergei Goryachev, who previously was the commander of the motorized rifle brigade of the Western military district, was appointed commander of the 201st military base, on 14 November, the President of the Russian Federation. Reference: Sergey Goryachev was born in 1970 in city Ozherelye of Moscow oblast. He graduated from the Ryazan higher airborne command school in 1994, and Combined arms Academy of the Armed Forces of the Russian Federation in 2008. Awarded the order of Courage in 2005, the medal "For military merit" in 2008 and departmental medals. By order of the Minister of defence of the Russian Federation Colonel Eugene Kozak was appointed Deputy commander of the Central military district (CVO) on financial-economic work. Reference: Colonel Kozak was born in 1978 in Sevastopol. 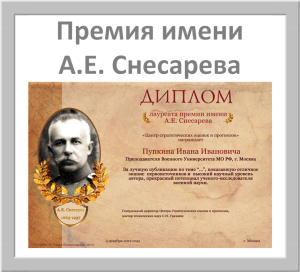 In 1999 he graduated from Yaroslavl higher military financial school named after General of the army A. V. Hrulev. Military service was held at the office associated with the financial support of the southern military district. The CVO came with the unit chief of the center for financial and economic support of the black sea fleet. Awarded departmental medals and insignia. Celebrated annually on 19 November, on the basis of the decree of the President of the Russian Federation of 31 may 2006. Currently, formations and units of missile troops and artillery are equipped with the latest weapons and military equipment be upgraded 152-mm self-propelled howitzer "Msta-SM", a reactive system of volley fire "Tornado-G", a new all-weather anti-tank missile complexes "Chrysanthemum-s". Continues upgrading missile formations of Land forces with missile complex "Tochka-U", "Iskander-M". The formations and units of missile troops and artillery introduced new forms of learning in line with the experience of modern warfare, there is a transition recruiting military units under contract.